May you discover your destiny! Hummingbird Yoga has been created for the love of yoga, love of life, and the breath! The journey through experiencing classes is designed to bring motivation to the mind, inspiration to the heart, and is dedicated to the soul. Inhale love for yourself. . . . . exhale love for others, inhale compassion for who you are. . . . . exhale compassion for others. . . . . inhale peace in your spirit. . . . . exhale peace for humanity, inhale joy for life. . . . . exhale joy to the world! 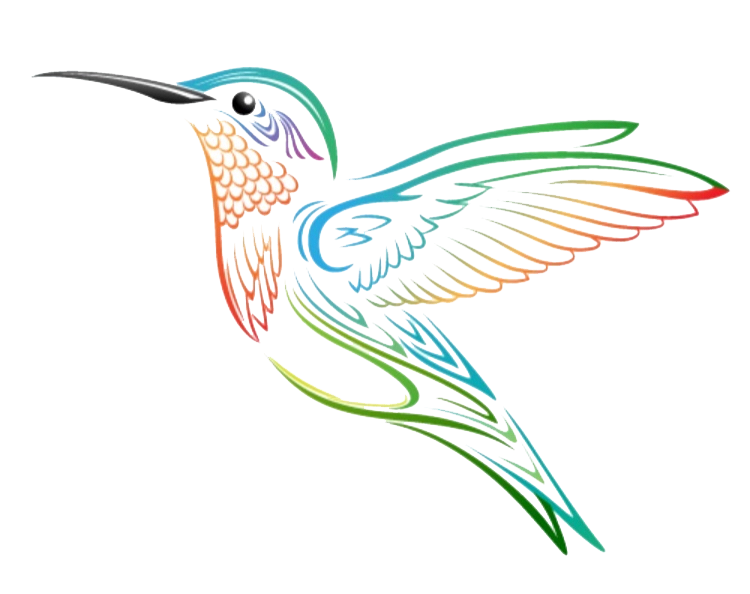 Why Hummingbird Yoga? Life is so similar to that of a beautiful hummingbird. The hummingbird is known as a messenger from heaven and a stopper of time. It symbolizes love, joy, and beauty. Always seeking out the sweetest nectar, they remind us to forever seek out the good in life and the beauty of each day. The sweetest nectar is within each one of us. The core of our very existence. Our light, our love, our nurturing spirit. Ruth and her husband, Fred, are blessed to be raising their five children in the majestic, Teton Valley. Fred is a wonderful support and encouragement to all of Ruth’s ventures in life. Ruth grew up in Teton Valley, and after living in Australia and New Zealand, and traveling through India, discovered the joy and unlimited benefits of yoga now for over ten years. Ruth has spent over 25 years in the studies of health, fitness, nutrition, body building, swimming and works as a health/fitness coach. A 200-hr-RYT through Yoga Alliance, and a 40 hour certified ambassador for Roots Tribe Yoga. Ruth has taught well over 3,000 hours training individuals towards a healthier lifestyle. Now going on five years, she has been volunteering in the public schools, bringing her love of yoga to grades pre-K – High School. Ruth recently received a grant, offering income for her volunteer hours in the schools. She enjoys teaching Vinyasa Flow, Hatha Yoga, Restorative, Hot Yoga, Power Yoga for Athletes, Anusara Yoga, Ashtanga Yoga, and Hummingbird HIIT. Ruth teaches with a dedication to alignment, a compassionate heart, overflowing exuberance, and the desire to empower others to step into their highest potential with grace. Her own practice has become her backbone through discovering the joy and art of teaching yoga combining enthusiasm for life, and the nourishment of the breath for beginners, athletes, elderly, pre-natal, mommy/baby, and kids of all ages. Ruth is a lover/seeker of beauty, life, art, yoga, music, and fitness. Always seeking to make a positive difference in the world around her. Dynamic, always hopeful, looking at life as a never ending adventure! Bria is a positive, uplifting, delightful woman! A fantastic addition to the Hummingbird Yoga staff. She completed her 200 hour YTT in Missoula Montana in 2017, with Sarva Rasa Yoga, and has been interning with them since then. As part of her internship, Bria has acted as an assistant educator and mentor to teacher trainees at two 200hr trainings where she taught classes as well as helped trainees build confidence while teaching, refine their cues, conduct pose studies, and understand anatomy as it pertains to yoga. Bria’s yoga training is primarily in alignment based Vinyasa and Hatha yoga with major emphasis placed on anatomically correct cueing, safe sequencing and yogic philosophy. Academically, Bria has a strong background in anatomy and physiology, with a love of incorporating aspects of that into her yoga classes. Come enjoy a class with Bria as her love for life fill the classroom. Emily began her personal yoga practice 16 years ago as a competitive dancer in high school. She was immediately drawn to the exploration of physical movement. She found yoga to be just like dancing. In 2007, Emily moved to Jackson to teach at a special needs school where she met her husband, Nick. In 2014, they married in front of Mormon Row in Grand Teton Park. They decided to call the Tetons their home and moved to Victor. Shortly after moving, she found her dream job as a kindergarten teacher. Emily’s yoga practice deepened throughout the years, as did her desire to learn more. She studied at the Teton Yoga Shala in Wilson, and received her 200 hour certificate in Ashtanga. She enjoys sharing yoga and since has started a free yoga program for teachers in the school district. Being a kindergarten teacher and having studied yoga for more than a decade led her to begin her children’s yoga certification in the spring of 2017. Emily teaches family yoga and children’s yoga, ages crawling – teens, as well as adults. Her children’s yoga program includes the fundamentals of yoga (breath, poses, meditation, and relaxation) with original music and games that are developmentally appropriate. On her down time, Emily likes to practice yoga, ski, cross-country ski, mountain bike, paddle board, and read. Come enjoy a class each with with the beauty, and energy that Emily has to offer. Christine is a yoga teacher, herbalist and outdoor enthusiast, but first and foremost she is a student. The RYT 200 hails from the High Plains of Laramie, Wyoming and was certified in 2014 at Hot Power Yoga there. Since, she was taught hundreds of hours of yoga in three states. Passionately exhilarated by nature, music, art and wellness, she draws insight from all facets of life into her classes. Coupled with a reverent focus on body awareness, intelligent movement and a generous dose of compassion, Christine uses inspired self expression to make a variety of yoga styles accessible, engaging and fun. “To me, yoga is the practice of introducing yourself to your true self. Sometimes that practice requires effort, and sometimes it calls for ease. Yoga is befriending the synergy between dark and light, calm and chaos, suffering and peace. It’s practicing the art of navigating with grace the waves of life, on and off the mat.” Using this philosophy, Christine fosters embodied power and grounded confidence through breath, asana and meditation. Curious for just about every type of yoga, she has gone on to teach hundreds of hours in a wide variety of classes constructed on our innate ability for self-healing, growth and transformation. Angie found yoga a personal introspection, a fluid way to connect the body, soul and mind as one. Everyone has the ability to reflect light and love to being open to new experiences. Yoga is the vehicle to personally connect on and off the mat. Yoga is not only an amazing physical benefit, she found yoga moving her into a deeper discovery of mind and spirit through meditation and breathing. After moving to Vail in 2004, she knew becoming an instructor was in her path.She received her yoga instructor certification from Yandara Yoga Institute in Todas Santos, Mexico; where she formally studied under Shane Perkins and Genevieve Laquerre. Her additional inspiration comes from training with Seane Corn, Baron Baptiste and Bryan Kest. While Angela enjoys high energy, flow classes that challenge the dynamics of the body, she always encourages students to listens to their intuitions, tap into their sensations and cultivate an awareness of what their bodies need. She thinks yoga is the most beneficial thing she can do as a mountain enthusiast to keep her mind and body balanced year round. She looks forward to living every moment to the fullest and challenging her students, her teaching, and her practice every day. Yoga is a lifelong journey we are on together! After raising two boys in the midwest and spending nearly 20 years in the education field, Tracy headed west, telling family, friends and neighbors, “the mountains are calling and I must go.” She landed in Victor almost five years ago and never looked back. She feels honored and blessed to call Teton Valley home. Unbeknownst to her, Tracy’s journey with the Tibetan singing bowls began many years ago with her love of meditation and kirtan. More recently she awoke after falling asleep to the sounds of the singing bowls on YouTube and knew she needed to purchase a bowl and explore that path. Shortly thereafter she ended up buying an entire set of bowls, and has been in heaven ever since. Tracy is tremendously grateful for Natalie Brown of Sounds Heal Studio (Cedar Rapids, IA) for Natalie’s mentor-ship, generosity, support and kindness. Tracy has also completed several courses with the Academy of Sound Healing. Tracy has been gracing us with the singing bowls in the Restorative classes both with Ruth and Emily and will be offering her talent joining in with Lori’s meditation class as well. Enjoy the beauty of sound with Tracy, the first Sunday of each month at our 2:00-3:00 pm Sound Bath. Lori Lloyd and her husband, Ryan, have moved to Teton Valley, for the beauty and the blessing of small community. Lori is a Chinese Medicine practitioner in Driggs, who specializes in the treatment of stress disorders, including anxiety, depression and insomnia. She has studied meditation with many disciplines including Buddhism, Ayurvedic, and other mindful practices. Her work through Neuro Emotional Technique and acupuncture are in incredible asset to Teton Valley. Lori is sharing her gifts at Hummingbird Yoga , teaching a meditation classes for stress reduction. It is an absolute privilege to have her support and talent. We are thrilled to have Connie on our sub list and look forward to more of her offerings at our studio in the future. Connie has been a student of yoga for over 30 years taking classes, workshops, and seminars from many teachers including Saul David Raye, Shiva Rae, David Belz, John Friend, Baron Baptiste, Aadil Palkhivala, Coral Brown, and Sean Corn. After studying Hatha yoga with Mateo Mandani of Montreal and Molakai, she received her yoga teaching certification (CYT) in Hatha yoga in 2005 and began teaching yoga privately and at studios in Salt Lake City and Kauai. Connie is a 200-RYT (Registered Yoga Teacher) with Yoga Alliance and maintains this status through continuing education hours annually in specific area concentration including senior/gentle/chair yoga with Sherry Zak Morris of Vista, Ca. She has attended and worked at most of the Yoga Journal Live conferences. Although Connie began practicing yoga to aid in flexibility required for her horseback riding hobby, her study led her to a deeper connection of mind/body/spirit and investigation into the alternative therapies of Herbology, Bach Flower Essence, Lymphatic drainage, Meditation, Chakra Balancing and energy work. While living on Kauai, she studied the science of Ayurveda under the direction of Dr. Thomas R. Yarema, MD, LAC and Dr. Suhas Kshirsagar, BAMS, MD (Ayurveda) at the Aloha Ayurveda Academy of Kauai (now Kerala Ayurveda Academy) receiving her Diploma of Ayurveda Sciences in 2007. Her studies also include learning Transcendental Meditation and Ayurveda cooking with Ayurvedic chef Johnny Brannigan. Connie credits her recovery from a near-fatal disease to her Ayurvedic lifestyle. As Vice President of Marketing for Hugger Mugger Yoga located in Salt Lake City, Utah, Connie developed yoga products and an understanding of yoga-specific businesses and services. Her approach to teaching yoga incorporates this education and life experience to bring a greater understanding, gratitude and love to the body that does so much for us daily. Closely linked with Ayurveda, Hatha yoga is one of its main healing modalities. While Hatha yoga implies rigorous discipline, the physical asana is not a means to an end but rather a journey toward self realization and sense awareness. Her teaching is a combination of traditional Western yoga which focuses primarily on the body and Eastern yoga which emphasizes devotion, purification, and meditation. We’ll move to music together from these powerful methods of internal cleansing while honoring our own life circumstances. Connie looks forward to leading you to your next level. Cynthia Clausen has a M.S. in Biology and has taught for over 20 years at the college level, including health and nutrition. About 13 years ago she and her husband moved to Teton Valley, where they enjoy raising their boys. Cynthia continues her passion, interest, and knowledge in nutrition, health, fitness and sport, through coaching individuals like you. Cynthia has earned 3 health coaching certificates, in addition to her education and teaching background have inspired her to help hundreds of women realize their full potential and make peace with their bodies. Cynthia lived with undiagnosed Celiac Disease for most of her life so she knows what it is like to crave sugar, gain weight, lack energy, and be utterly confused about what to do. She knows what it’s like to feel stuck. Having felt that way for a long time, AND THEN I HEALED. Now she feels amazing and vibrant and looks forward to sharing that experience with as many people as she can through Nutrition and Health Coaching. We are pleased to have Cynthia on a weekly basis at the studio starting in June. Please come and join in on the classes she will be teaching May 8 and 22, Tuesdays at 9:45 a.m. In her class, you will do movement lessons very slowly, allowing you and your brain to become very aware of the feeling of the movement, and take the time to become conscious of how the movement is unfolding in your body. When you stand at the end of class you may feel very different on your feet and in your skeleton. You may find that some of your movement has become easier, less painful, more graceful. You may also find more flexibility and strength. This class welcomes all from those struggling with movement to the uber athlete. Dr. Gene Nathan MD is an integrative physician who combines complementary and alternative health care with allopathic medicine. He received his MD at the University of Rochester School of Medicine, and is board certified in Pediatrics. He has also studied neurofeedback, herbs and homeopathy, electrical medicine, community health, and many other modalities. He has particular interest in child development, school difficulties, brain problems, immune and inflammatory disorders, and recovery from physical, emotional, and spiritual trauma. He can be reached at genenathanconsults@gmail.com, or 619 392 4313.